We sell and install many makes and models to meet every need and fit any budget. Visit our showroom in Livonia to see everything we have to offer & choose the perfect door for your home or business. 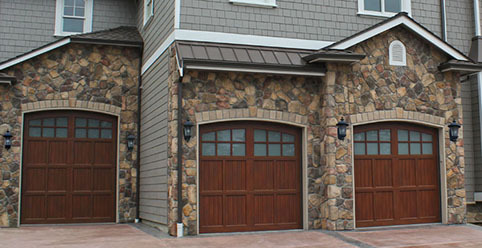 Suburban Door offers eight different product lines of Haas Door in a range of sizes, thicknesses, surface treatments, colors, windows, and options. 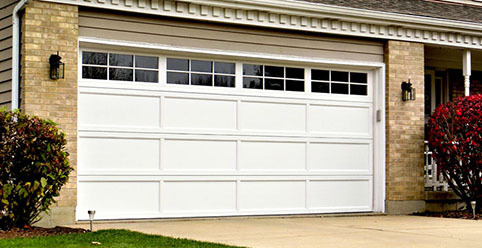 We’d love to build a garage door that fits your vision, performance requirements and your budget. 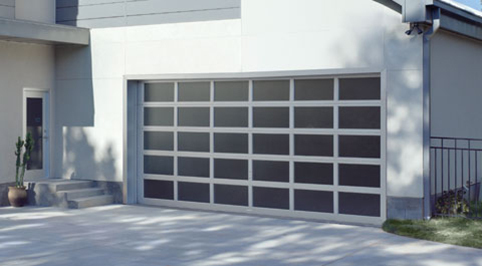 Haas Door’s garage doors are crafted of aluminum or steel, featuring a wide range of R-values. 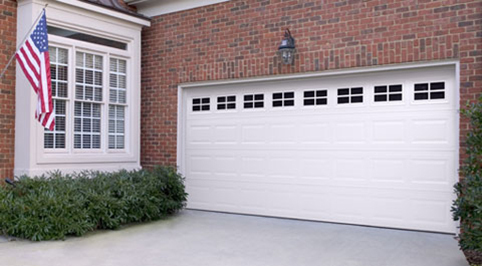 Their doors keep noise, weather, and intruders out of your home or business. They even offer certified wind load options up to 200 mph. With Haas Door, you can create your own unique design that meets your specific requirements. 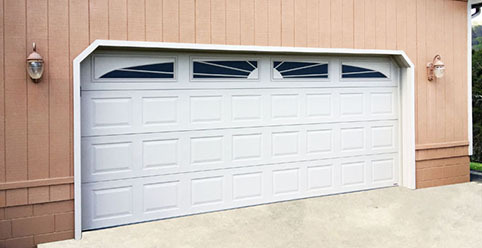 The 5000 Series provides the strength of an insulated garage door combined with long-lasting and corrosion-resistant aluminum. 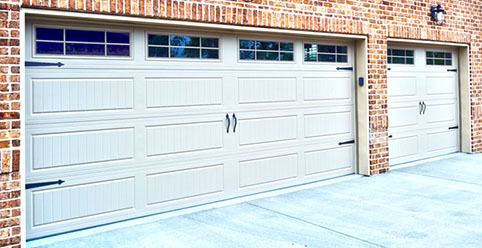 5000 Series doors feature a tough, durable and weather-resistant Trinar® paint finish, that carries a 35 year finish warranty. Backed by a limited lifetime warranty, the 5000 series is built to last while providing distinction and style. 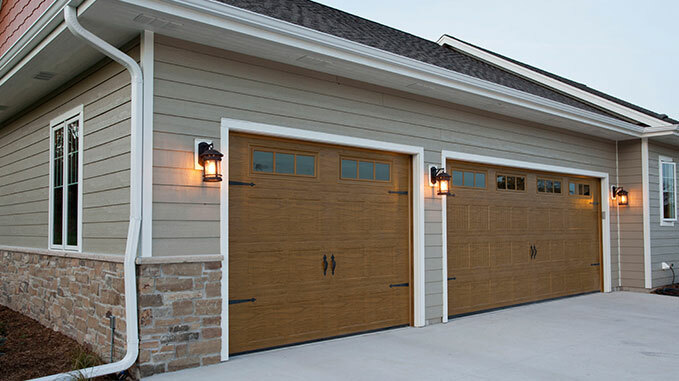 Timeless beauty is what Haas Door had in mind when they designed their American Tradition Series TM garage doors. 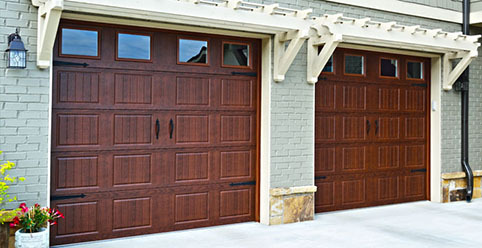 They’ve taken all the elegance of the original wooden carriage house door and updated it into a beautiful wood grain embossed door using modern technology and 21st-century materials. 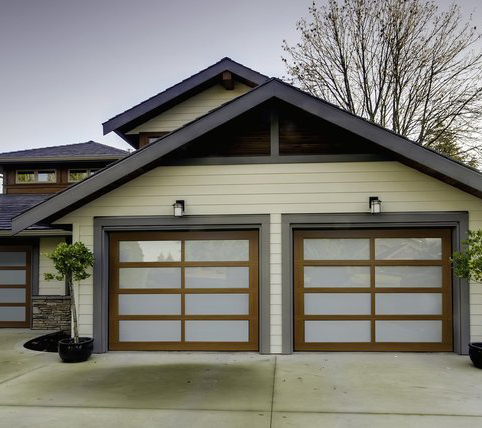 Take your home to a new level of sophistication with a 360 Series residential aluminum garage door. Each door is handcrafted and will add a modern contemporary look to any home. 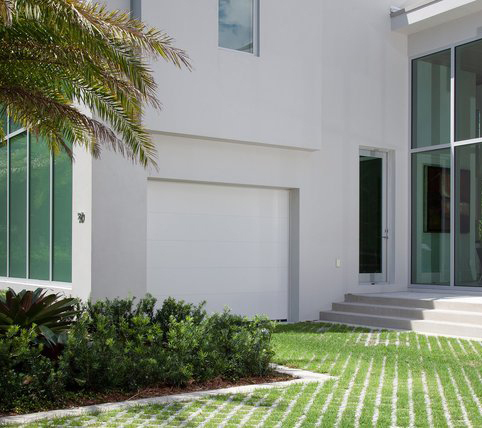 These doors feature a clean, sophisticated straight line look that is not only architecturally pleasing but will further enhance the elegance of your home. 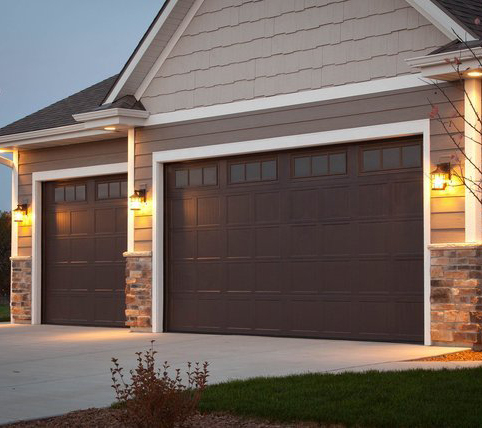 The 2000 Series residential garage doors are not just beautiful, but are among the most energy efficient doors in the market. 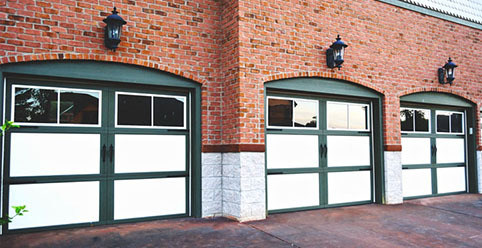 The 2000 Series doors are 2 inches thick, manufactured with heavy gauge galvanized steel that incorporates the look of embossed wood grain, and filled with dense CFC/HCFC-free polyurethane foam insulation. 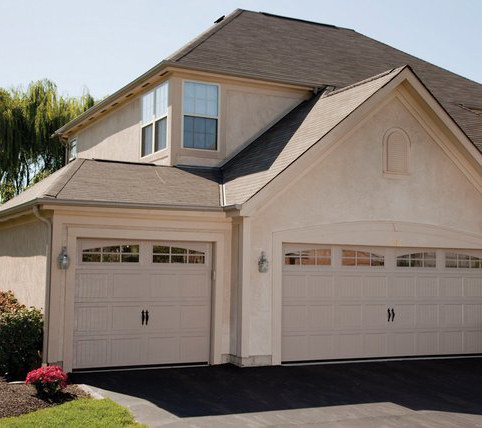 Imagine the curb appeal the 2000 Series doors will add to your home! 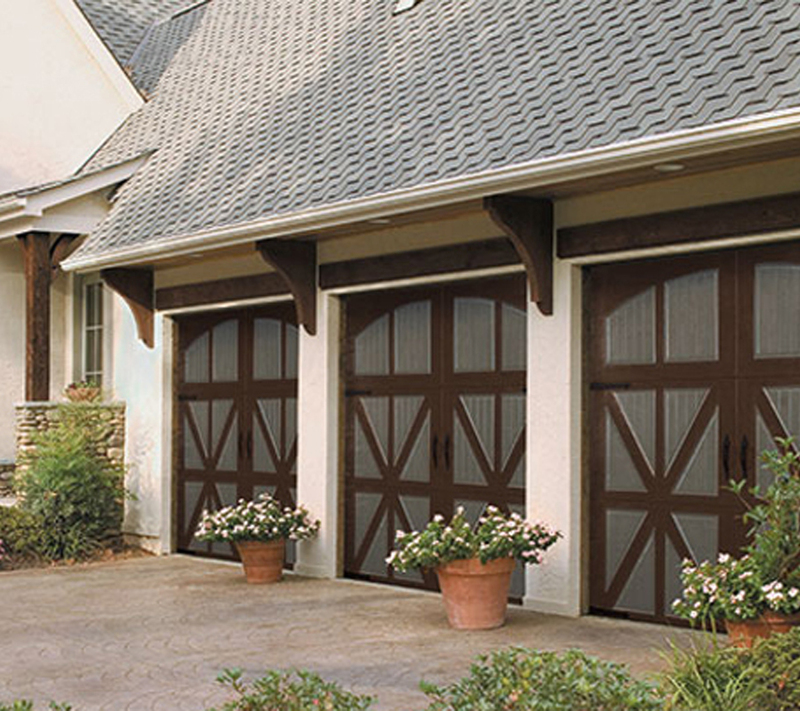 The 700 Series Residential Garage Doors are made with heavy gauge galvanized steel and embossed with a deep wood grain. Combined with 1 ¾” thick, CFC/HCFC­free polyurethane, the 700 series is engineered for maximum energy efficiency and years of maintenance free use. With a full range of color and window options and Limited Lifetime Warranty, the 700 series is the ideal choice to add beauty and value to your home. The 600 Series combines the look of deep embossed wood grain with the strength and durability of heavy gauge galvanized steel for years of virtually maintenance-free use without the worry of warping, cracking, or rotting. This series provides more than five times the insulating value of wood and is ideal in all climates. Offered in a full range of color and window options, adding beauty and value to your home has never been so easy! 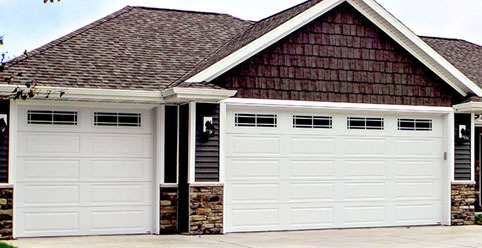 The 2500 residential garage door series is engineered to offer beauty, practicality, and affordability. Build economically without sacrificing quality, the 2500 Series is an unmistakable value that will complement the appearance of any home. 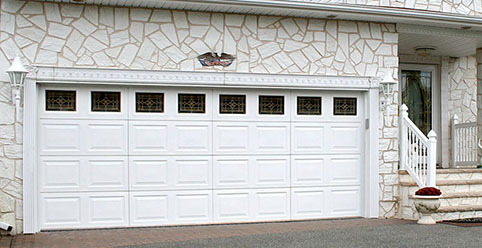 Suburban Door offers 3 distinct styles of Amarr doors. 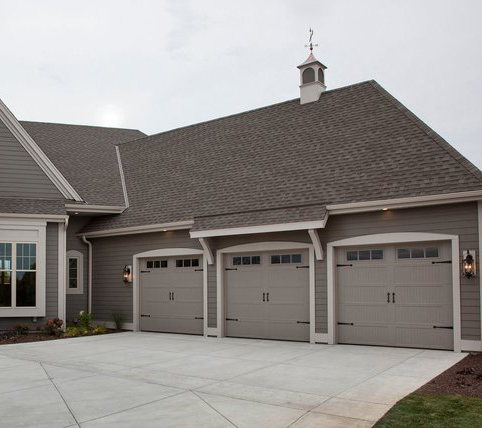 With Carriage House, Traditional, and Specialty options there’s sure to be one that suits your personal style and budget. 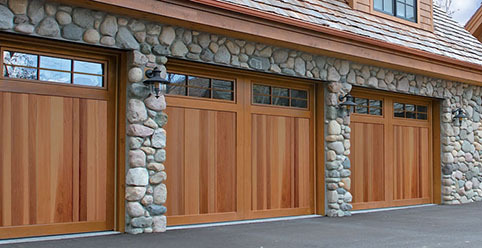 Amarr doors are made in the U.S. and have a legacy of innovation, high-quality design, and sustainability. 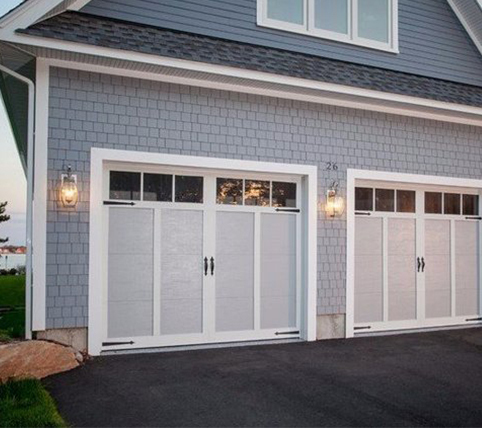 With a complete line of garage doors including sectional, rolling sheet, rolling steel, aluminum full view, Suburban Door will find the right Amarr entrance systems to meet your specific design and functional needs. 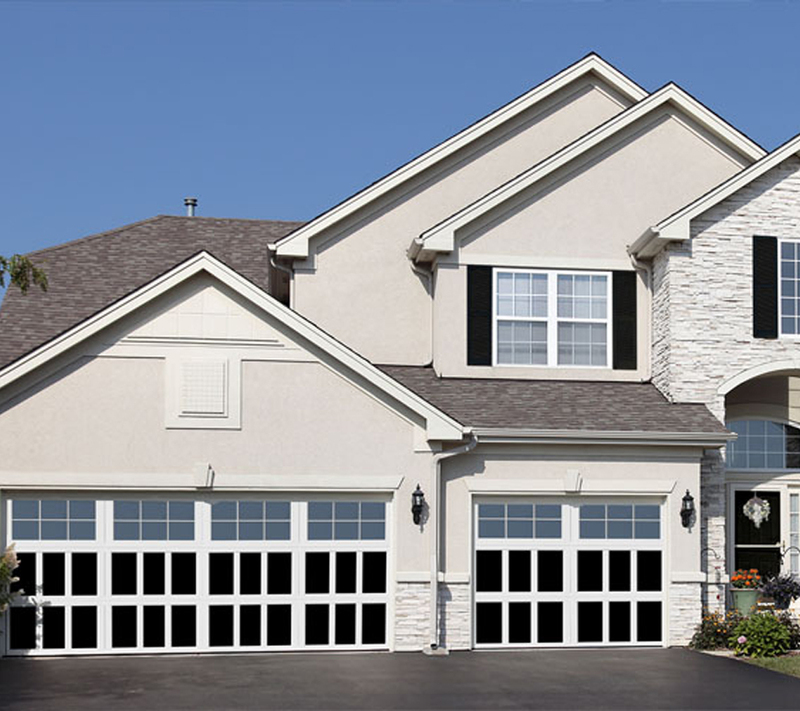 Suburban Door is proud to offer you a wide variety of Hörmann Doors. The Hörmann range of residential doors are specially designed and developed to meet the requirements of your needs without compromising the Hörmann standard for quality and design. You can’t go wrong when choosing Hörmann’s superior protection and safety. 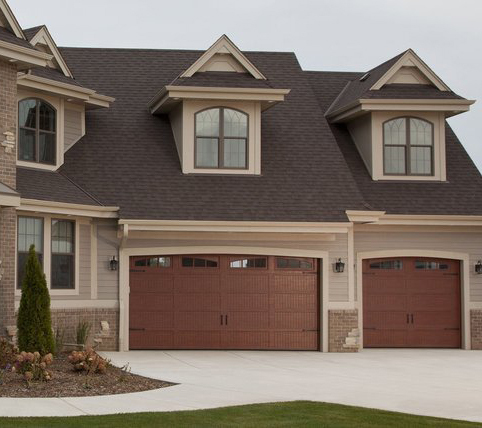 We would love to help you pick out your perfect door that will last for years to come. Hörmann Polaris Collection series doors are constructed from a fine selection of real wood handcrafted with careful attention to detail to provide a durable, prestigious and long-lasting quality door. Natural wood offers a distinctive and unique grain texture that will give your home a special appeal. The Hörmann Aries Collection offers the durability and weather resistant properties of aluminum with the sophisticated appearance of natural wood. Virtually maintenance free this collection features commercial grade extruded aluminum stiles and rails mechanically fastened at joints creating a high strength door frame. 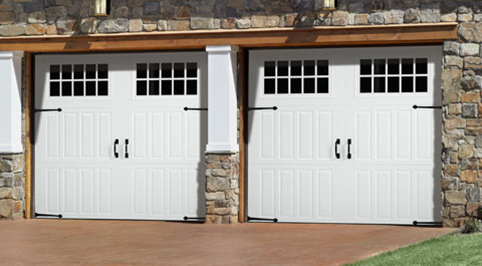 The Hörmann Solaris Collection provides a modern look and maximizes the natural light in any garage. The 1¾” thick high-quality glazing frames in anodized aluminum and a wide range of design options have proven a winning combination designed for strength and durability. 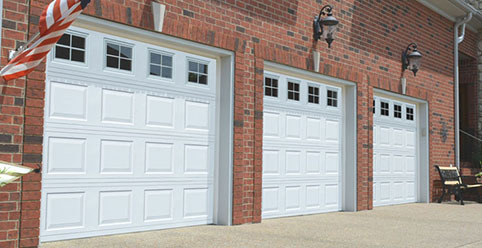 Hörmann Phoenix 5200 offers a unique combination of classical beauty and durability of a steel door. 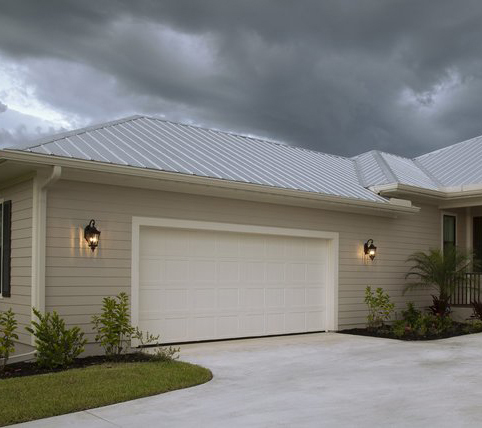 Featuring ageless custom designs matched with modern features, unsurpassed safety, durability, and energy efficiency. The Hörmann Tucana Collection offers the beauty of recessed panel design and unsurpassed safety of our pinch-resistant joints. The virtually maintenance-free Tucana Collection doors feature a tough steel front and back with polystyrene core, giving an R-value of 6.9. Don’t settle with any other door that is a mismatch for your home decor. Only the Hörmann Taurus 4250 gives you the very best of safety, convenience, and quality with unmatched innovations in modern technology. FingerGuard™ pinch-resistant joints with environment-friendly polyurethane foam insulation, in between section seal and heavy-duty steel hardware offer you the most energy-efficient and safe door that will last. 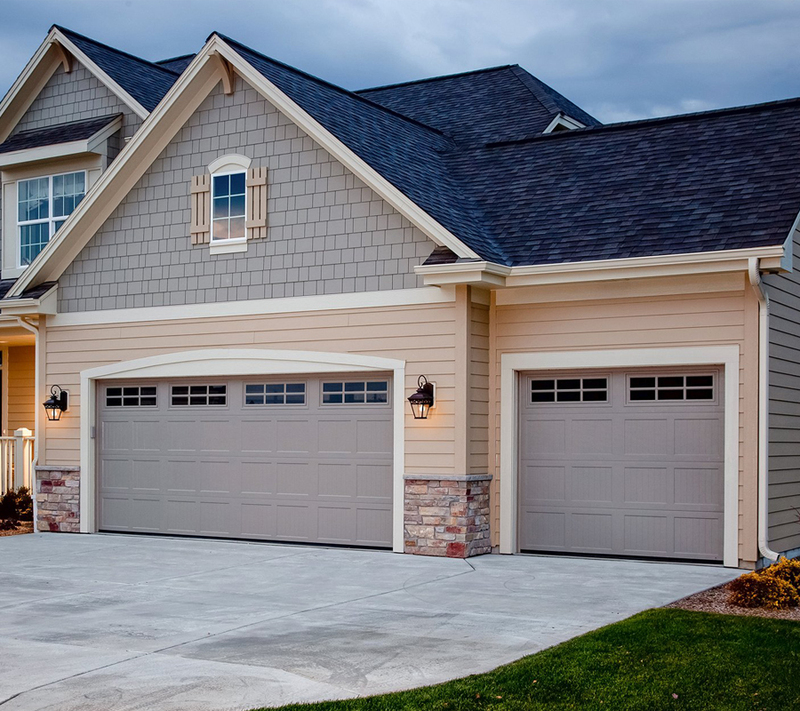 Compare for yourself and see how versatile a Hörmann Orion steel garage door can enhance your home in many different ways. The Hörmann TimberLast™ finish offers the durability of steel with the elegant look of natural wood. 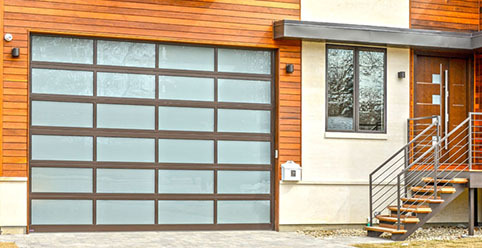 Giving you the choice in selecting a non-insulated or insulated door, the virtually maintenance-free TimberLast™ finish is available for both Gemini and Orion Collection. The range of options gives you choices to beautify your home while increasing your energy savings. Hörmann Gemini collection offers all the choices, safety and durability without breaking your budget. Economical, yet the Gemini collection features FingerGuard™ pinch resistant section joints, nine available colors and a choice of two steel thicknesses: 24 ga. (.022” min) and 25 ga. (.019” min). The optional polystyrene insulation with vinyl back cover offers a sensible solution in energy savings. The Hörmann Pegasus Collection offers you practical designs and options that are efficient and economical. The virtually no-maintenance Pegasus Collection features 25 gauge hot-dipped galvanized pre-painted steel with a baked-on polyester enamel finish. Hörmann Sirius 6200 offers the visual appeal of high-quality wood raised panels and the unique durability of high-density polyethylene (HDPE) that is virtually maintenance-free and never needs painting. Impervious to any outside elements, the Sirius 6200 will not rust, delaminate, dent or warp to withstand the rigors of everyday activities. The energy-efficient, CFC-free polystyrene insulation with laminated backer provides an effective weather barrier.